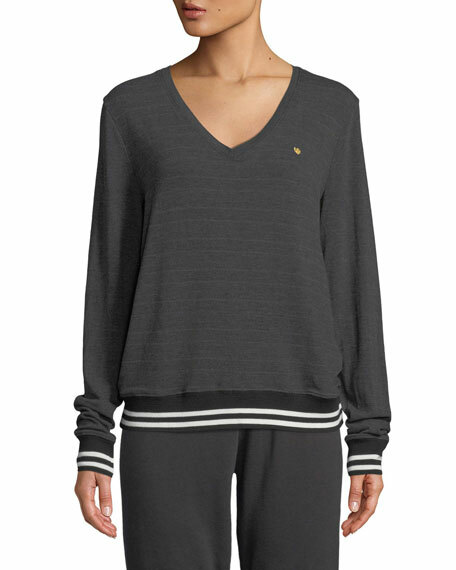 Spiritual Gangster "Savasana" tonal-striped sweater. 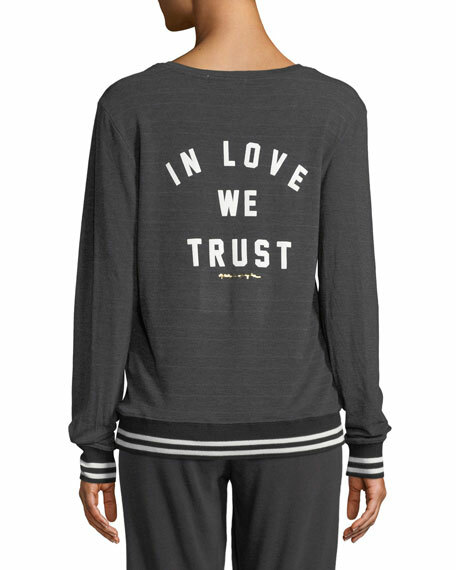 "In Love We Trust" graphic on back. For in-store inquiries, use sku #2489052.